A Salmonella outbreak associated with a church fundraiser in Cleveland County, NC has sickened 89 people. The fundraiser was held September 7 at the Sandy Plains Baptist Church in Shelby, NC. Organizers of the event estimate that 5,000 plates were served. Forty of the cases are in Cleveland County, 46 are in Rutherford County and two are in Gaston County, according to local news reports. There is also one confirmed case in South Carolina. Symptoms of a Salmonella infection, called salmonellosis, include diarrhea, fever, and abdominal cramps. They usually develop within 12 to 72 hours after exposure and last between four and seven days. Some cases, where the infection spreads from the intestines to the blood stream, can be fatal without prompt treatment from antibiotics. Salmonella is often transmitted via undercooked poultry, meat and eggs. 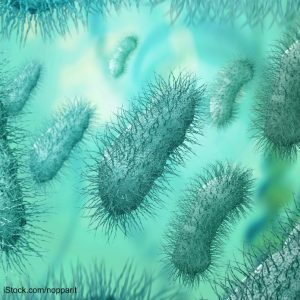 Each year, about 42,000 cases of salmonellosis are reported in the United States, but because many milder cases are not diagnosed or reported, the actual number of infections may be twenty-nine or more times greater, according to the Centers for Disease Control and Prevention (CDC). Health officials recommend that anyone who attended the event and became ill see a healthcare provider and tell them you attended this event. Food purchased at the fundraiser should be thrown away.